It's a known fact that during times of economic uncertainty, investors flock to gold. Gold is often called a safe haven, and it has a record of performing well. For instance, gold was priced just above $837 when the Federal Reserve announced its first round of quantitative easing — money printing — in November 2008. By March 2010, when the easing ended, gold was at $1,110. The same thing happened during the second round of easing, which took place between November 2010 and June 2011. At the beginning, it was priced above $1,300. By the end, it had increased to $1,500. Just recently, the federal reserve hiked rates again. This time, gold's value climbed by 2%. In the most recent Federal Reserve interest rate hike in March 2017, silver climbed 3% to gold's 2%. This outlines a key fact that many investors miss: Silver can be as profitable (if not more profitable) then gold. Just like gold, silver's used as currency — but it's cheaper than gold, it has more practical applications, and it can bring in bigger gains. 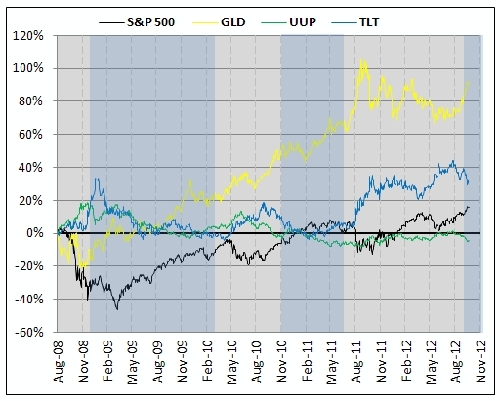 Between January 1 and October 1, 2012, the SPDR Gold Trust ETF (NYSE: GLD) posted gains of 13.4%. In that same period, the iShares Silver Trust ETF (NYSE: SLV) — the largest silver-backed ETF — gained 24.9%. During QE1, SLV gained 64.3% against GLD's 34.7%. During QE2, it gained 39.5% against GLD's 10.9%. Fast forward to 2014, and SLV is at a five-year-low, signaling a perfect buy opportunity for investors. Silver is a major industrial metal, used in everything from silverware to photography. It's in high demand in many different sectors. It also acts as a hedge against inflation or financial crises. Its value is a global standard, not controlled by any single government entity. So even if the fiat currency stumbles or plummets over the edge, silver will hold. There's every reason to be bullish in silver again. There are a number of ways to invest in silver, one of which is the iShares Silver Trust ETF. The fund has posted positive gains since it formed in May 2006. It is the largest silver ETF in the market, and as of Nov. 2014, it holds more than 346 million oz. of silver. But there are also other ways to invest that could offer just as much opportunity. Owning physical silver is a great way to get your hands on the precious metal — literally. You will pay the silver spot price upon purchase, in addition to a premium which includes production cost and dealer commission. Bullion comes in two forms: bars and coins. 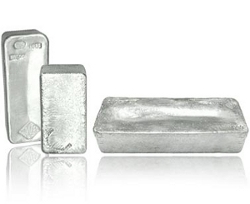 Silver bars are most commonly found in 10-oz and 100-oz sizes, though they can also be bought in a 1,000-oz size. Bars have some of the lowest premiums — between two and three percent compared to coin premiums, which can go as high as 160%. They can, however, be one of the more difficult forms of bullion to carry and store. 1,000-oz bars can often weigh as much as 68lbs. But if you decide to go with the lower premium, make sure you do it right. Not all silver bars are created equally. In fact, there are certain brand-name bars — including Engelhard and Johnson Matthey — that investors most commonly buy because these brands ensure quality and purity. Silver coins, on the other hand, are federally minted. The U.S., Mexico, Canada, and Austria are among the nations that mint federal silver coins, which are guaranteed a certain weight and purity. Part of the reason these coins maintain a higher premium than bars is the quality guarantee buyers receive. In the U.S., the official silver coin is the American Silver Eagle, with .999 purity. Other coins, like the Canadian Maple Leaf and the Austrian Silver Philharmonic, also guarantee .999 purity. You can also purchase proof coins, or special edition coins that are rarer than regular coins and higher in value when silver is in short supply. The Special American Eagle MS 70 Coin is one example of this. Silver rounds are another option. They are minted by private mints and can be cheaper, priced based on purity, but they are not legal tender. Then there are junk coins. But contrary to what the name implies, these coins can be very valuable. They're called “junk” because they don't have the collectible value of regular silver coins. In fact, they're just regular currency. But it's the makeup of the coin that gives it its value. Prior to 1965, U.S. coins — specifically quarters, dimes, and half dollars — were minted with 10% copper and 90% silver. Today, silver is no longer incorporated. Our modern coins are made from copper and nickel. So these older coins, with their high silver content, are valuable to investors — worth their weight in silver. 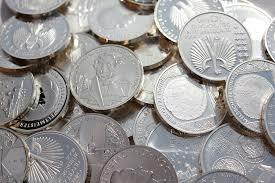 They have much lower premiums than regular silver coins because of the lower silver content and lack of collector's value. They have a much higher liquidity, and they are official legal tender. That means — if you really wanted — you could simply walk into a store and spend the coin, no question about its worth. You can find them through bullion dealers, who often sell them in bags based on weight. Now if you're really interested in investing in silver right at the source, there's no better way to do it than through silver mining companies. One way to invest in silver miners is the silver mining exchange-traded fund, Global X Silver Miners ETF (NYSE: SIL). This ETF performed better than silver prices after the Federal Reserve announced its third round of quanti tative easing. It's gained over 60% since its inception in 2010. Global X Silver holds a number of major silver mining companies. Its top five holdings include Silver Wheaton Corp. (TSX: SLW), Fresnillo Plc (LSE: FRES), Fortuna Silver Mines (TSX: FVI, NYSE: FSM), Tahoe Resources (TSX: THO, NYSE: TAHO), and Pan American Silver (NASDAQ: PAAS), and it has net assets upwards of $180 million. If you'd prefer to go a more traditional route and invest in an individual mining company, you might want to consider some of the companies held in Global X Funds' ETF. Here's a closer look at Silver Wheaton. Silver Wheaton Corp. (TSX: SLW) is headquartered in Vancouver, Canada. It was founded in 2004 and has since become the world's largest silver streaming company. The company enters into agreements whereby it is allowed to purchase, at a fixed cost, all or some of the silver production at a given mine. It currently has 22 such agreements at operating mines and 7 at developing projects in Mexico, Sweden, Peru, Canada, Argentina, Greece, Portugal, and the U.S. In some mines, like Barrick Gold Corporation's Pascua-Lama mine, Silver Wheaton is permitted to purchase 25% of the silver produced for the life of the mine. In others, like Capstone Mining Corporation's Cozamin mine in Mexico, the company can purchase 100% of silver produced for ten years. 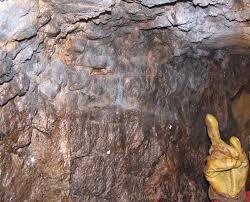 Participation in the exploration success of the mines underlying our current agreements. The company pays upfront for its purchasing agreements, so there are no exploration costs, and operating costs are fixed at $4 per ounce of silver. If you're an investor, that means the higher silver prices go, the more you stand to benefit. The company has gained over 970% since it began trading. Right now, we're seeing the some of the lowest share prices since 2010, which has some investors scrambling to buy. As you explore these and other silver options, make sure you do your due diligence. Find out which options are best for you and what type of investment you'd prefer. But don't wait too long, because silver is already breaking out. What silver investors can look forward to in 2016.